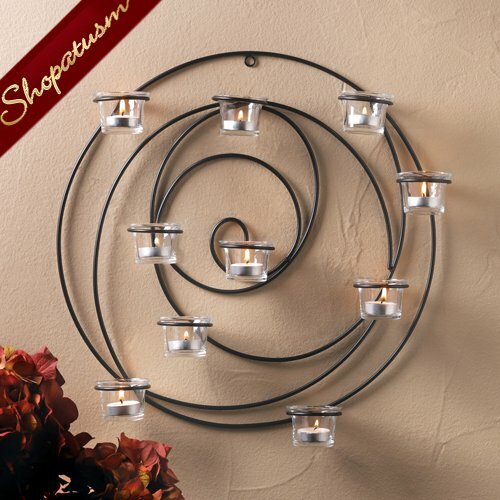 This is for a Hypnotic Candle Wall Sconce Wall Decor from Shopatusm. Lend an artistic touch and soft candlelit glow to your room with this unique and appealing wall sconce. Its circular metal coils hold 10 glass candle cups that await the tealight candles of your choice, and its entrancing beauty can't be ignored! Item weight: 3.2 lbs. 17 3/8" x 2 3/4" x 17 1/4" high. Iron and glass. Candles not included.